Mayer Estate Agents - giving clients honesty, a personal service and many years of experience all for an affordable fee. It’s a truly family run business of agents with a genuine difference who care, we pride ourselves on being honest through and through whether its good news or bad, we are efficient and experienced knowing how to best sell your home within both buoyant and stale market places. We have invested in the latest software technology to ensure all our clients and purchasers receive a first class service without compromise. Our team have been very successful, long standing estate agents which is why we find customers referring so many of their family and friends to us over and over again. We offer Experience, Knowledge, Trust, Understanding, and Passion that you just simply cannot find elsewhere, all of which sets us apart from our competitors and makes us the local and confident choice when appointing an agent and entrusting them to sell your home. We don’t believe in making empty promises or insulting our clients intelligence with sales patter we believe in delivering in successfully selling properties. 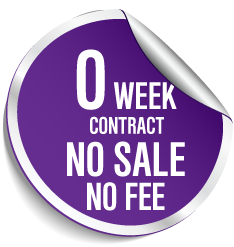 We are actively open until late seven days a week to show you properties or value your home and offer a very competitive fee of 0.95% with a minimum of £1200. We attract all types of properties across Plymouth and into surrounding villages. We have hundreds of qualified buyers registered with us now who are serious about moving and buying a property. We take time to ask the right questions and with our expertise and area knowledge we are able to match the right buyer with the best property. Searching for your perfect new home can seem a daunting process so call our friendly sales team today and discuss your requirements and see why so many people will only use Mayer Estate Agents with their move.